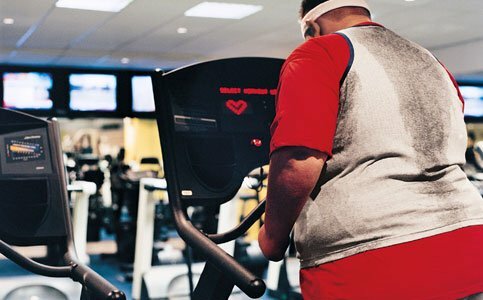 The Extreme Weight Loss program by Phoenix fitness trainer Lucas James is catered to individuals who are considered highly overweight or obese. The program is a step-by-step total body transformation that educates and demonstrates all aspects of working out, eating right, overcoming physical, mental and emotional obstacles to create a healthy living lifestyle. Lucas James works one-on-one with the individual on a daily basis for encouragement, self-discipline and accountability. Clients can see up to 2-5 pounds off a week and up to 10 inches or more of the waist line in a 30 day period. Included in the weight loss and fat loss fitness program above is Lucas James’s unique nutritional program and customized daily meal planning. Lucas James provides two services for the price of one. So instead of spending extra money on both a nutritionist and a personal trainer, he provides both services for one price. An important part of the program is teaching clients how to eat to lose weight. After the first consultation Lucas will spend an hour or more discussing various foods, supplements and vitamins – all of which will help you lose weight. Lucas has each person right down and log what they eat and drink for seven days to develop a custom daily meal plan. Lucas will teach you everything you need to know to create your perfect body. His expertise will help you reshape your body to create a new healthy lifestyle. The nutritional program is vital to Lucas’s success with his clients. He adds another level of accountability and awareness by asking his clients to keep a daily food log and to bring this in once a week. Over the course of the fitness program there continues to be many conversations about the healthy ways of eating out, ordering in, cooking, grocery shopping, and supplementation. Learn different body part workout routines. Learn correct form and breathing techniques. Create different workout routines that you enjoy and can do on your own. Get life changing results from weights, conditioning and core workouts. You will be educated, counseled and a participant in a program that will give you all the tools you need to continue a healthy lifestyle that is easy to maintain and adapt too without ever going back to your bad habits. Beauty Vitamins – Good skin, hair and nails. An off-day workout routine for you do on your own when not being trained. Lucas will keep you motivated and will create a fun atmosphere! He’ll make sure you’re putting forward your best effort to get most beneficial results. We create weekly and monthly goals to help you reach your overall goal and to keep you on track for long-term success. Test 11 spots on your body with a skin fold caliper. Measure nine spots on your body with a tape measure to track gains and loses in inches. Test beats per minute to determine resting heart rate and different heart rate zones. Six different pictures will be taken of your body to help track your progress. You will step on a electronic scale to determine your body weight. A comprehensive packet is e-mailed or printed for you every two weeks that includes recommended meals, supplements, and vitamins. It also has a full listing and graphs of changes in your measurements, body fat percentage, weight, pictures, and goal progress.